Forget about plastic cafeteria trays and modernize your guest self-service options with these attractive Heavy Duty Wooden Trays . They measure 17.9 x 17.9 x 3". They are light weight and are sturdy enough to carry food and drink. 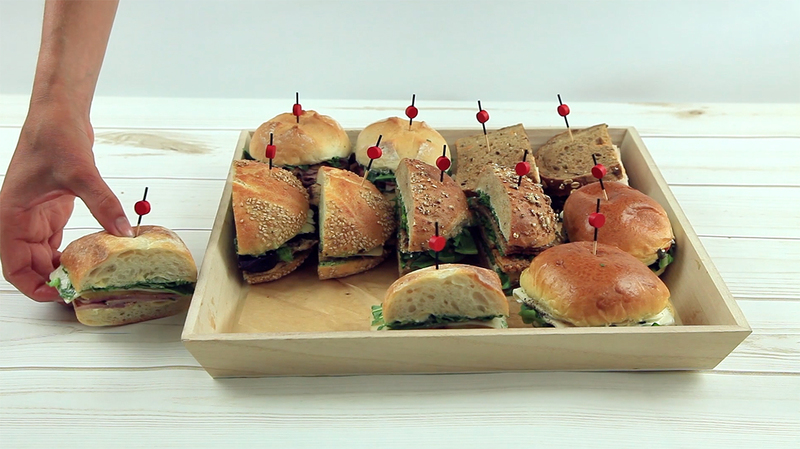 They can also make for the perfect buffet option for displaying sandwiches, appetizers, cookies and more. Made from eco-friendly wood, they are reusable, recyclable and biodegradable.